I lost Ralph Friday. It was sudden and unexpected. I came home from work, started the usual routine of grabbing my mail and saying hello to the cats – when I see Ralph wasn’t there to greet me. Stepping into the living room, I see him laying near the bottom of the stairs. Of course, those mixed feelings hit me – a combination of dread and fear and hope that really nothing is wrong and I’m being paranoid. But I know something’s wrong, the way you just KNOW. He’s not getting up. I give him a freeze-dried 100% meat treat and he eats it eagerly, but he’s not getting up. Honestly, I hoped he’d just fallen down the stairs and broken his leg, but again, I just KNEW. I knew this was bad. 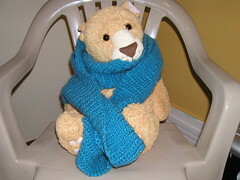 You may have noticed our friend, Hump-me the Tiger, as the model for my recent crochet projects. There’s a story behind Mr. Hump-me the Tiger, as is probably self-evident from his name. I have an aversion to the word “resolutions”, for whatever reason, so instead I try to come up with goals for the year ahead – preferably with steps toward achieving them. Answer – no, not really. My three girls (Jellybean, Rumpelmintz, and Kitty.com) do NOT like other cats. They have a tendency to whine/growl/scream/cry in other cats’ presence. In particular, Jellybean and Rumpelmintz fear Studley greatly and aren’t keen on Louie. Ralph is Mr. Agreeable and loves everyone and everything. The girls still bop him on the head on occasion – but even for them, it’s hard to not like that sweet little face of Ralph’s. My boys are pretty good friends, on the other hand. 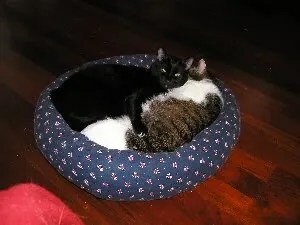 I LOVE it when my cats get along, and groom each other, and cuddle together, and play together…. if there’s anything cuter than my adorable cats, it’s my adorable cats appreciating each other as sweet loving furry beings. 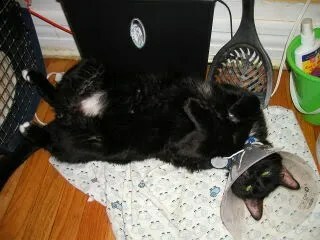 As you can see below, wearing a cone was incredibly TRAUMATIC for Louie. 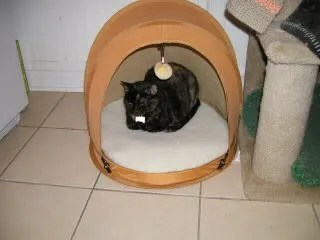 The cats’ “Aunt Terry” gave them a new pet tent for camping in the kitchen. It’s an adorable pop-up tent – I think she got it at Big Lots. 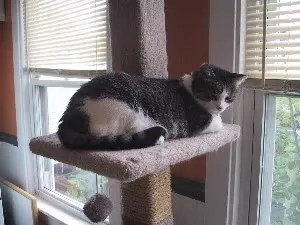 My friend Adrienne suggested perhaps what my blog needs is more pictures of my cute cats. My cats ARE very very cute, in my opinion. Oh, they’re a little rough around the edges, most of them, and they’re not babies (the youngest is about ten years old) but I think they are pretty much adorable most of the time – when they’re not fighting amongst each other or acting as destructive forces of other sorts, or just annoying the crud out of me… they’re VERY cute. Anyway, a few weeks ago we held a “catnip wake” in honor of Afer, Omaha, and several of our friends’ cats that passed away recently (including Rumpelmintz’s cyber-boyfriend and Studley’s cyber-girlfriend/wife). 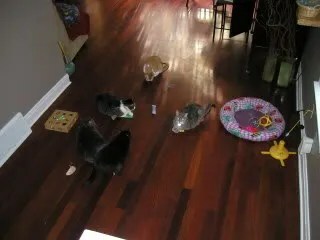 The wake started with an assortment of catnip toys. Jellybean did not participate. Catnip toys are not sufficient lure for her to leave her perch on top of the kitchen cat tree and chance proximity to the other cats.